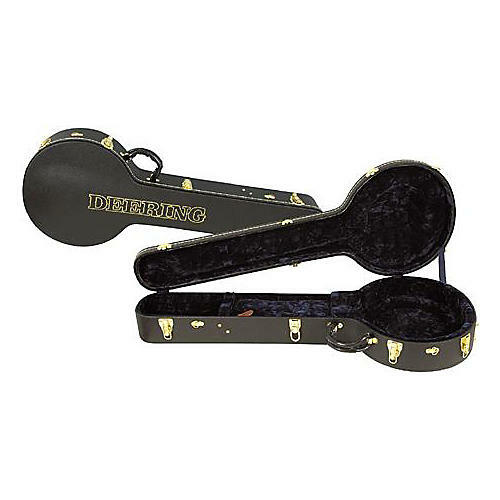 The hardshell Deering Banjo Case is a locking, rugged banjo case with the Deering logo in gold on top. It features an accessory pocket under neck, padded handle, 5 brass hoop latches, a padded velvet interior. Constructed of wood with a tolex exterior. Fits all Deering banjos.